Four County Import Service offers many years of experience in belt and hose repair and maintenance in all makes and models of vehicles. Your vehicle’s belts and hoses are involved in processes within the cooling system, air conditioning system, charging system, and are critical to your vehicle’s performance. 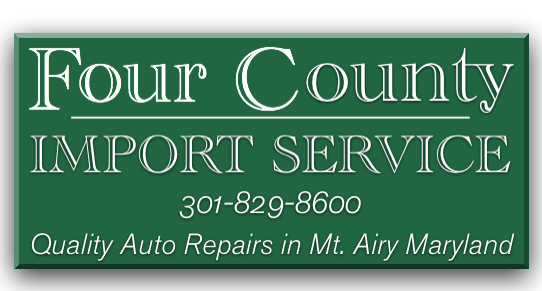 Four County Import Center serves Mount Airy, MD and surrounding areas in Montgomery County, Howard Count, Frederick County, and Carroll County with quality auto belt and hose repair for all makes and models of cars and trucks.Give us a call at 301-829-8600 or stop in today!